Many friends in my life like watching DVD films. They not only watch the films, but also love the music of the films. However, our iPod and iPhone cannot support DVD formats, so it’s not convenient to watch or listen to. In order to resolve this annoying problem, I have collected dozens of good applications for converting DVD to audio, so that we can transfer DVD audio to iPod and iPhone, and we can enjoy DVD songs or audio of DVD films anywhere anytime. Now I choose the best software to tell you how to convert DVD films to audio. The wonderful software is DVD to Audio Converter for Mac. 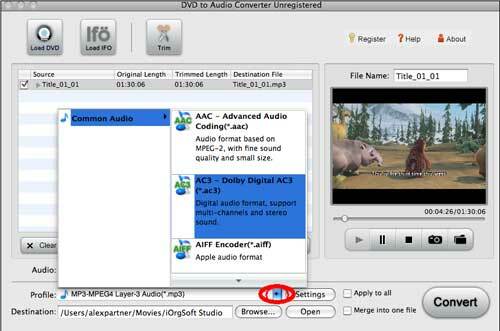 Mac DVD to Audio Converter is professional software used for converting DVD to audio formats, such as mp3, m4a, flac and .aac etc. so you can listen these files on your portable mp3 and mp4, such as iPod, iPhone, iPad Blackberry, PSP and Creative Zen, and if you like, you can also put them to CD layers and listen in the car or at home. 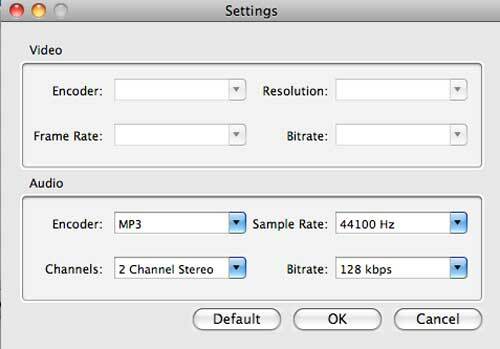 And you can choose which part of the DVD audio you’d like to convert, and then merge several pieces into one. 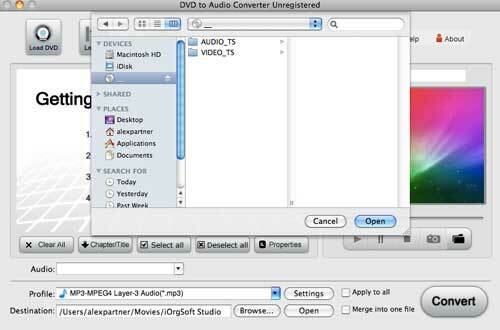 Mac DVD to audio converter has simple design and friendly interface. It is easy-to-use. To finish the whole procedure and customize your own music, you need just three simple steps, load DVD files-customize-output your audio files. Now let’s see how to convert DVD to audio with this great DVD to audio converter. 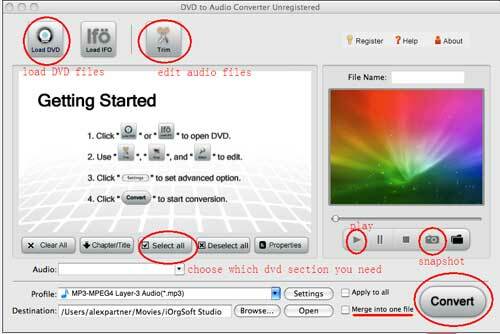 Before we start, you must download Mac DVD to audio converter and install it on your computer. Step 1. Load DVD files. Insert your DVD disc and then click Load DVD icon, you can choose the files you want to convert. Click Open to start loading. Step 2. Customize your own audio files. Click the Select all, you can choose which part of the DVD files you want to convert. Click the triangle before Settings icon, you can choose what formats you need, such as aac, ac3, aiff, amr, flac,m4a,mka,mp3,wav and wma etc, so that it will be accepted well by your digital device. 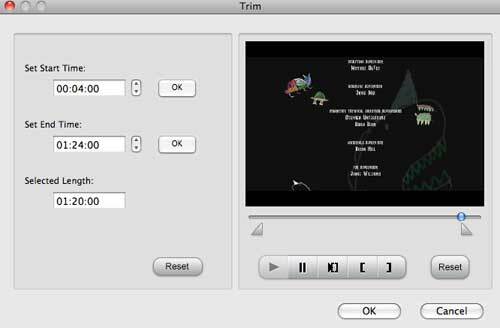 Click Trim icon, which is on the front of the interface, you can set the start time and the end time for your output music. You can also drag the triangle to set the part you want. Click OK to save every setting. You can preview the film you need on this interface. It’s easy to control. Click Convert icon at the bottom right of the penal. Just wait for a while, you will get you own music. Just transfer the files to your iPhone, iPod or iPad, and share it with your friends! It has become so convenient to convert DVD to audio and listen to music with portable device. Come on, download the best DVD to audio converter now and enjoy DVD music at will!